View cart “The Cat Cube” has been added to your cart. 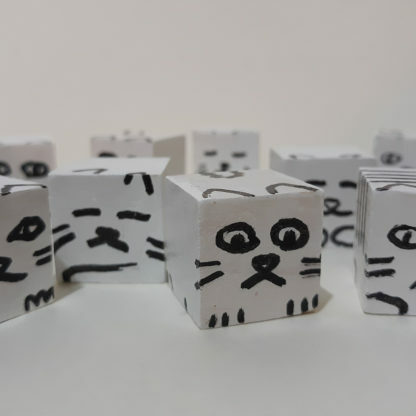 For when you need a doodle that can be stacked, Wandering Albatross Press offers the cat cube. Painted, wooden blocks feature cats in various states of alertness and mood. The cubes are approximately 3/4-inch wide, high, and deep. While we understand that people of many ages enjoy these decorative cubes, please note that these are not intended for children, and constitute SMALL PARTS which are a CHOKING HAZARD. Therefore, they are not suitable for children under 3 years. 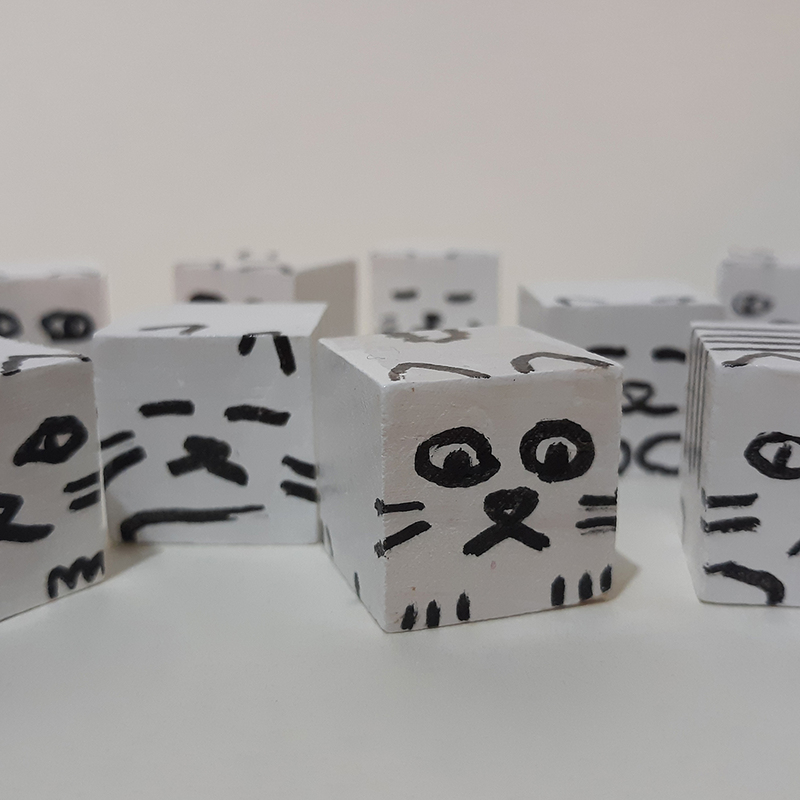 Please note: Each cat cube is unique and the product images here may not indicate the exact cat you will receive. If you have specific requests or questions, please contact us.